1 Sae Haruta, 2019 Miss SAKE Japan, assisted in sorting work of sakes entering “2019U.S. National Sake Appraisal”. Sae Haruta, 2019 Miss SAKE Japan, assisted in sorting work of sakes entering “2019U.S. 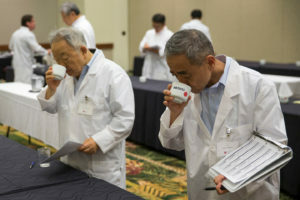 National Sake Appraisal”. 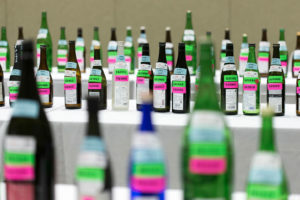 U.S. National Sake Appraisal is the competitive exhibition that has been held since 2001 and is the oldest sake appraisal conducted outside Japan. The judges evaluate approximately 500 sake entries over three days following traditional Japanese judging procedures. 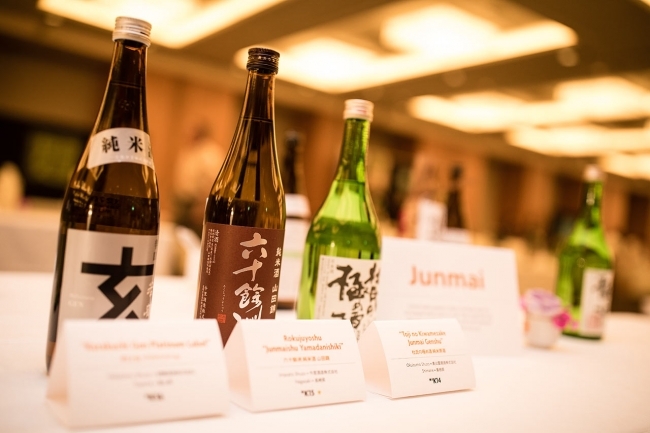 Following the Appraisal all entries are presented for public tasting at The Joy of Sake in New York, Honolulu and Tokyo. These events attract over 3500 sake enthusiasts annually. At The Joy of Sake, you can enjoy the pairing between the sakes and special dishes served from the famous restaurants at the venue. Therefore, you could find the great combination of dish and certain sakes called marriage, and it is possible to let the visitors realize that they can enjoy sakes with any kind of dishes: Japanese Western and Chinese food. 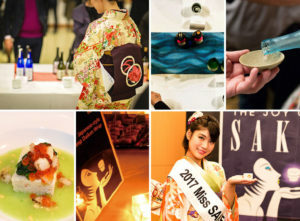 Through the elegant buffet-style sake experience, the event introduces sakes as an elegant and stylish drink. There are many ladies and young visitors because of the catchy event characteristic, and the event have won the hearts and minds of the new target. Under the mission of “For the sake of Sake”, U.S. National Sake Appraisal is held to promote the understanding from the people around the world about not only sake which is one of the wonderful traditions that Japan boasts, but also the high technology of the breweries that bring it up, and make sake more popular and to be loved by more people. 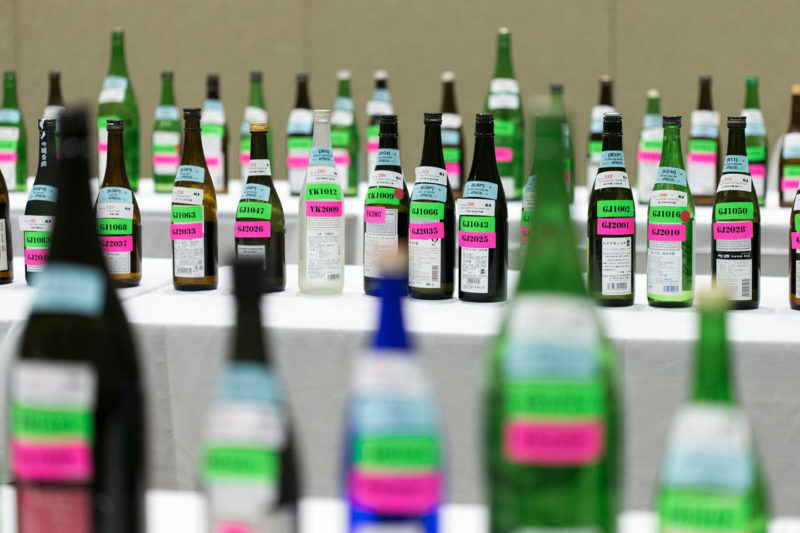 U.S. National Sake Appraisal for this year will be held in June. One day, I took part in sorting work of sakes entering it. In front of me, there were a number of sakes made by Kurabito who put their heart into each bottle. 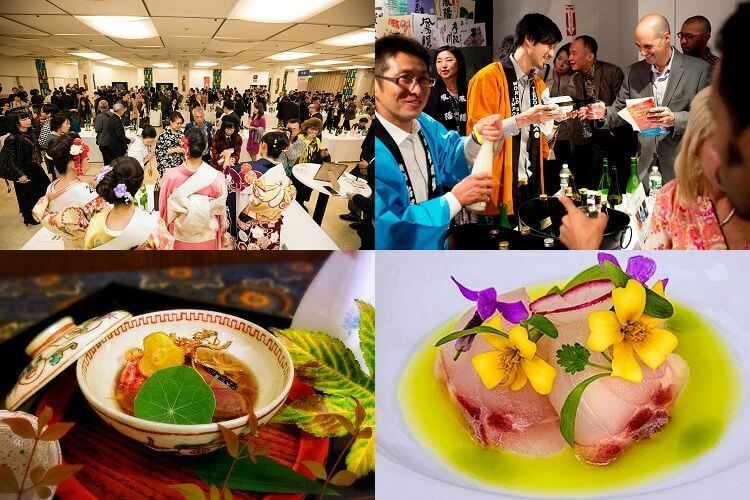 I could not help being excited even just imagining that these sakes will attract many people at New York, Honolulu and Tokyo, and make an opportunity to have interest in sake and Japan. 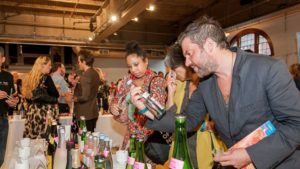 The number of sake entering U.S. National Sake Appraisal have increased each time the appraisal is held. 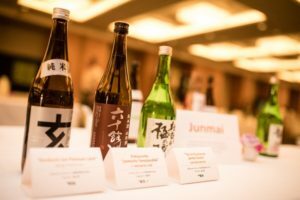 Furthermore, both amount and value of export of sake have been growing in recent years, and demand for sake have increased in overseas markets. I am grateful to this opportunity to be able to took part in sorting sake for overseas as Miss SAKE. At the same time, I could spend a time to feel proud as a Japanese. Please visit The Joy of Sake to find the new charm of sake through the elegant style sake experience.